I was an avid reader as a child and you could argue that my original game collection consisted of all the Choose Your Own Adventure and Fighting Fantasy books! 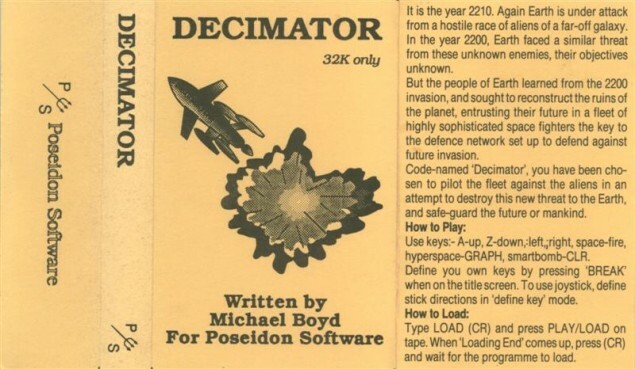 My transition to collecting computer games began when the electronic gaming industry reached the masses with 20 cent “spacey” machines in takeaway shops and gaming arcades everywhere. It wasn’t long before electronic table-tops like Astro Wars and Electronic Battleship reached our homes along with the original gaming consoles like Fountain and Atari. I was as caught up in the whole electronic entertainment explosion as everyone else but my personal interest reached the next level when I was gifted a SEGA SC-3000 computer. I became addicted to learning as much as I could about the computers capabilities because I found I wanted to create games instead of just playing them and that became the driver behind me collecting computer games. 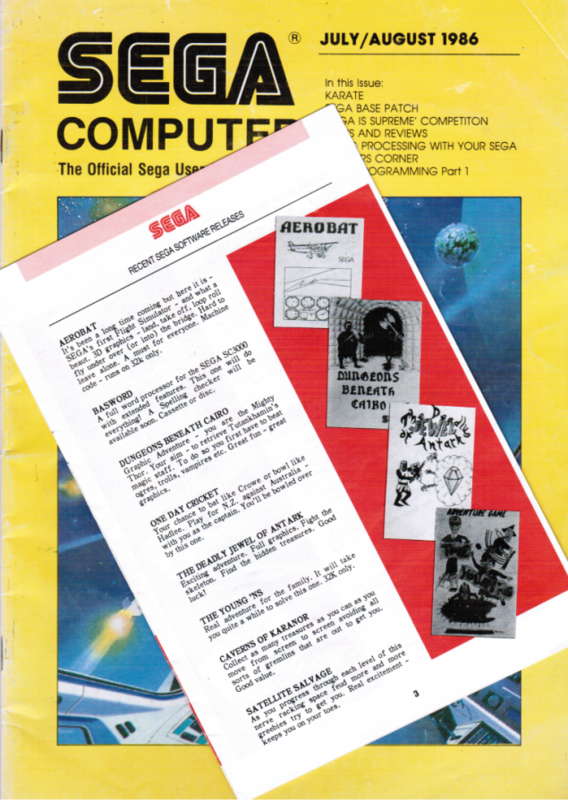 There was no internet back then and very little reference material available to me other than technical articles in the NZ SEGA Club magazines so I collected all of those. 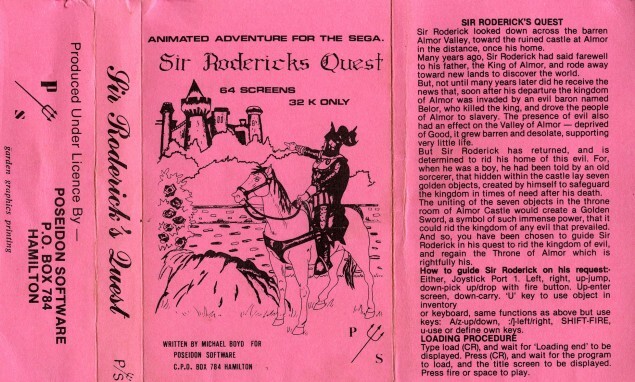 I also collected as many games as I could find; the games enabled me to see what the computer was capable of and I would hack into them, using what I’d learnt from the magazines, then learn the techniques behind the game mechanics in order to better develop games myself. I also collected most of the hardware peripherals but lost the entire collection except the A/C adapter and One Day Cricket cassette game while I was living overseas. 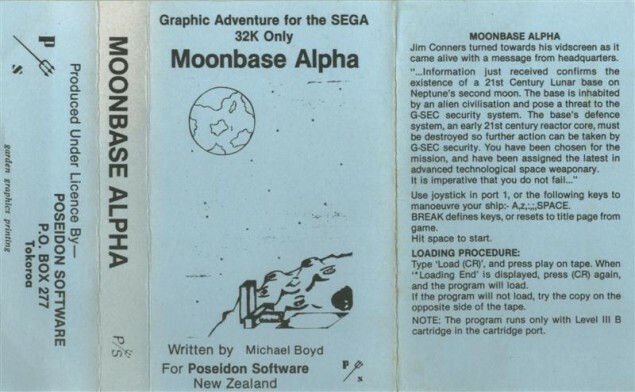 Since returning to NZ I have managed, at great expense, to rebuild and surpass my collection and also started developing an original machine-code RPG game for the SC-3000 in what little spare time I can find. Primarily SEGA SC-3000 hardware, software and reference material (club magazines, etc) as well as miscellaneous paraphernalia such as marketing material and catalogues. 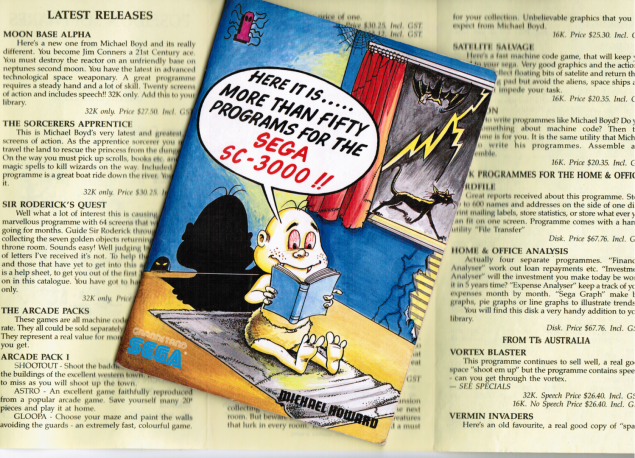 I am also a Co-Founder of SEGA SC-3000 Survivors (www.sc-3000.com), a group of like-minded SC-3000 enthusiasts and collectors and one of our goals is to digitally archive as much SC-3000 IP as possible. There are several aspects that keep me motivated to collect – there is the nostalgia-driven satisfaction of obtaining items I’d previously owned in my original SC-3000 collection. There’s the excitement of obtaining items I’d heard about and wanted but never actually had in my original collection – finds like that really roll back the years for me and the time between finding and receiving the items is almost unbearable, like a perpetual Christmas Eve! 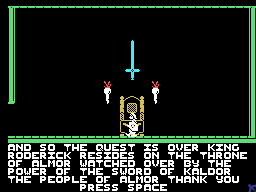 However, the cherry on the top is getting something that isn’t yet in our SEGA SC-3000 Survivors digital archive; adding to the archive is an immensely rewarding feeling because my personal collection is only really enjoyed by me but the archive is for everyone. 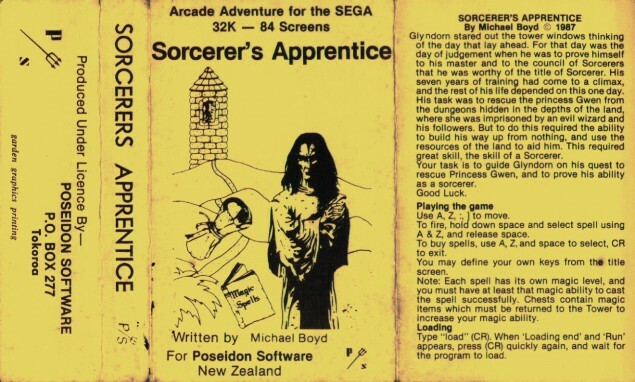 The pride of my game collection would be Kiwi developer Michael Boyd’s games – Burglar Bill, Caverns Of Karanor, Sir Roderick’s Quest, Moonbase Alpha, Sorcerer’s Apprentice and Decimator. In an era dominated by the ZX Spectrum and Commodore 64 (among others), the SEGA SC-3000 was in many ways a technically superior but ultimately unsuccessful machine. 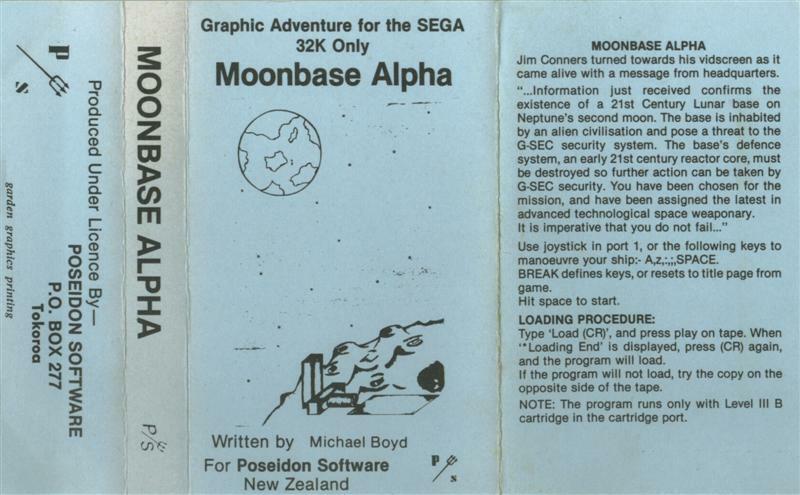 Despite being released outside of the UK and United States, therefore missing out on the potential popularity, developer-base and financial returns that such markets could provide, a lot of the NZ and Australian developed games were on a par with what was commercially produced for the more popular systems and for me, Michael Boyd’s games set the benchmark for what could be achieved with approximately 26Kb of RAM. 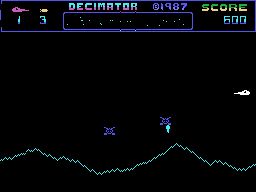 Honourable mentions go to SC-3000/SG-1000 cartridge game Starjacker, a vertical shoot ‘em up with absolutely stunning audio and for technical achievement, Aerobat a flight simulator featuring wire-frame graphics. Most definitely! The past is always of interest to someone at some point so I’m sure there’ll be a time in the future when our archive is of use to someone but if not, it’s still a fantastic achievement and I’ve thoroughly enjoyed being a part of it. haha, but it’s about the journey, not the destination, right? I’m so sorry Greg but you’re right, the journey is way better than the ending. To make it up to you (and assist with your journey) just say the word and I’ll send you the full map (excluding any walkthrough hints!) of SRQ. 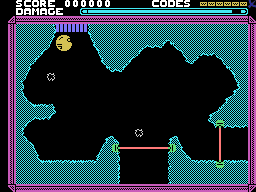 I also have Sorcerer’s Apprentice and Moonbase Alpha maps if you (or anyone else out there) are interested. Ooh, maps and cheats… Any chance you could upload them here, Andrew?